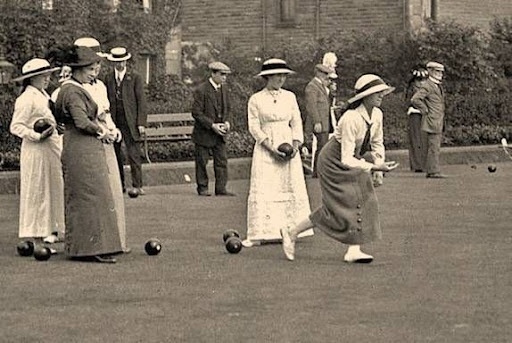 Founded in 1911, the Queens Park Bowling Club was for men only – ‘an old man’s game’. Original members paid a green fee of 1d, non members 3d. There were four courts (rinks ) - one to be reserved for public use. In 1911 the green, 140ft by 85ft in size, was sabotaged, in the still of the night, by an evil-disposed gentleman with pick and shovel, and had to be re-laid in 1912, with 600 turfs presented by a local councillor. 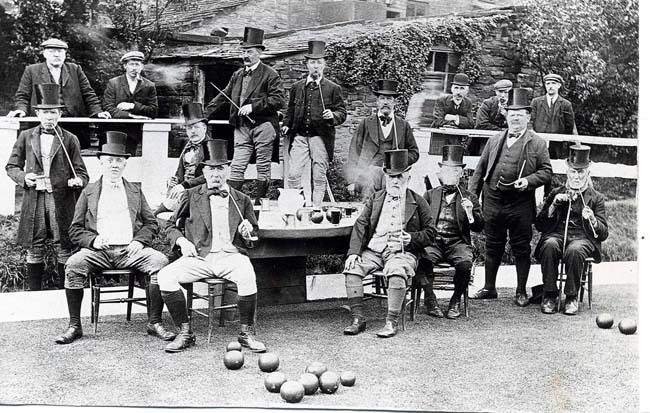 The club was re-named Caterham Bowling Club. CBC was responsible for the upkeep of the grounds and surroundings until 1936, when the Council took over, at a cost to the club of 75% of subscriptions and other income. This then changed to an unaffordable fixed rent, of £130, in 1952. In that year all the officers and committee resigned and the club nearly closed. The rent was lowered, and the club survived – just. The present clubhouse dates from 1936. A bar was added in 1975 and the clubhouse further extended in 1982 and 1995. In 1954 there were two ladies, allowed to play as wives of members, on 4 afternoons a week. 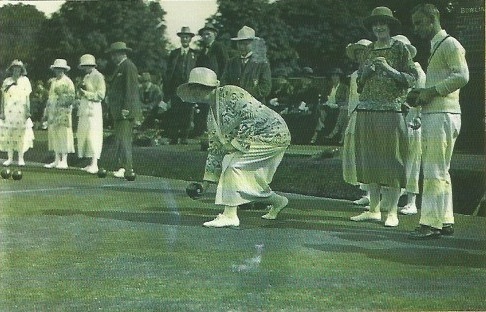 CBC Women’s Section was born on 30th November 1962, but ladies were not allowed to play after 17.30. In 1971 it was agreed they could be offered full membership. In 2003 an ex-club President left £20,000 to CBC to ‘square the bloody green’. This was done in the winter of 2003/4. There used to be a tradition to tour every other year, in September – Scotland, Great Yarmouth, Eastbourne, Weymouth, Newquay, Felixstowe and even Spain & Portugal.